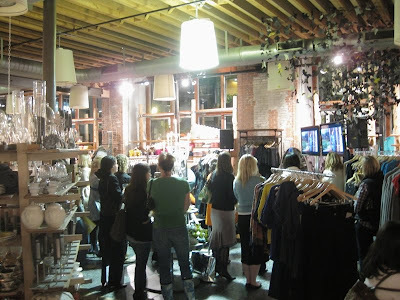 Last night Stephanie from SabbeSPOT, Carlee from Deliciously Organized and I met up at Anthropologie for a preview party for the new show Man Shops Globe. 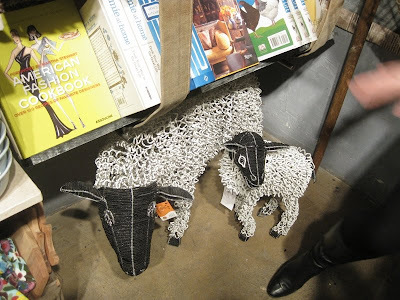 For those of you who are not familiar the show follows Keith Johnson around the world as he shops for one-of-a-kind pieces and other funky things you see in Anthropologie. As he says himself in the show, he really does have the best job on earth! I didn't take as many pictures at the party as I wanted to, but that might have been because they were serving wine like water...more on that later. 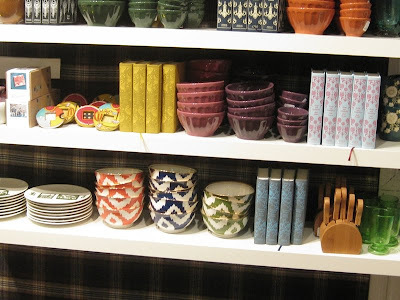 I spy the lovely little ikat bowls that everyone adores! 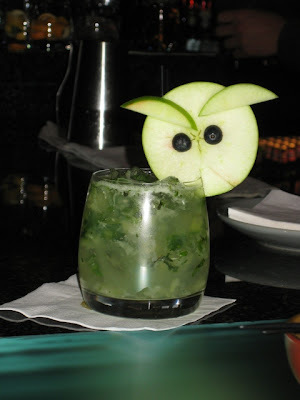 Carlees owl nightcap at the Mandarin after the party. We didn't have drinks this cute all night, but we sure had plenty of them which is explaining why this post is so late today...oops! All in all it was a wonderful evening with lots of laughs. 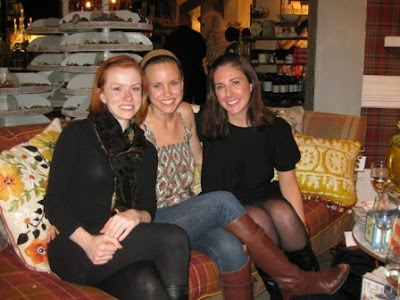 For three girls who are from each corner of the US(California, Tennessee and Massachusetts) its like we have known each other forever! 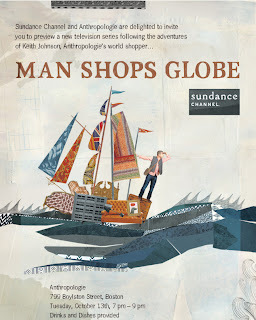 Be sure to catch Man Shops Globe on the Sundance channel Wednesday nights at 10pm....and a little hint if you don't get that channel like me, the show is On Demand woohoo! 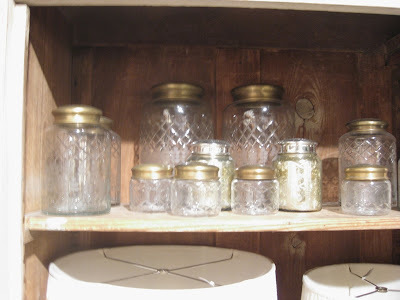 I love those old glass jars! Are they for sale or just a display? I got an email about this and wanted to go! 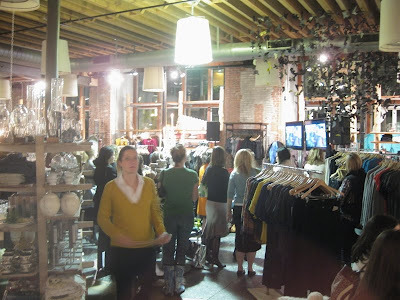 Totally forgot it was lsat night... looked fun :) Adore that store. PS: funny story- shopping w/ my step-mom @ that location when i was home from college on break, i was staring so intently at the beautiful store/clothes that when i was walking down the stairs there... i mis-stepped, and i slid allllll the way down!! haha. every time i go there, i laugh to myself. Fun! 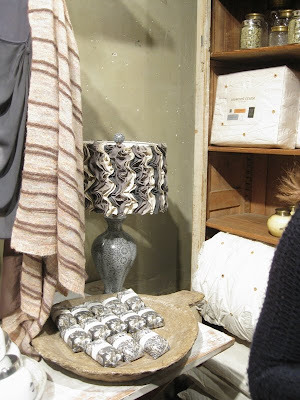 I haven't been to Anthro in a while and this has encouraged me stop by soon! ahh! that's right near my office! wish I coulda gone, that sounds like fun! Love all the pics! I called the cable company and added the Sundance channel just so I could see the show!! Just know my husband will be thrilled!! fun! 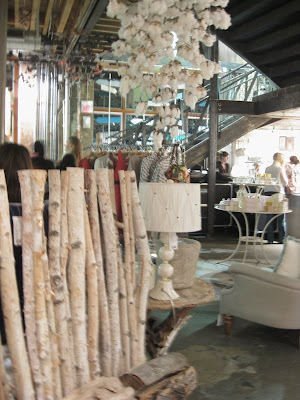 i love being in anthropologie. 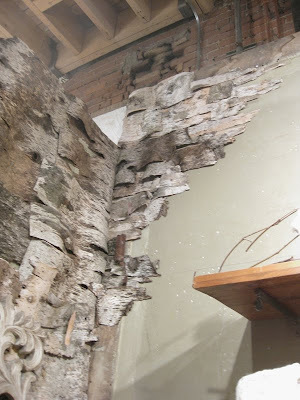 i imagine sitting in the store as if it were your home and watching a cool tv show might just make my head explode. What Fun!! I wish I could have been there, will look for the show! Well, look how cute you are Miss LEB. We should have taken a picture of Ethan! Is it weird I want to go to his wedding!? Oh what a fun group! Looks like a great night!! Oh I would have loved to go!! looks like a good time! What an evil owl. Such a great event, anthro should have more of them. I love the birch!!! I want that bed! What a fun event to attend. Wouldn't that be the best job. Thanks for the tip about the show being on demand, I was sitting here feeling sad I didn't have the sundance channel. Looked like a fabulous evening! 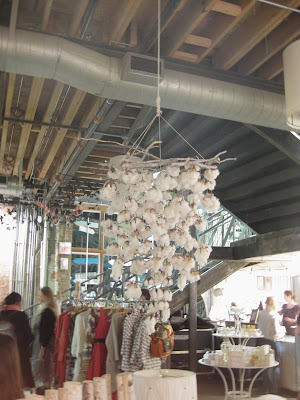 That cotton chandelier was so quirky and cool! Ya'll are too cute. How fun!